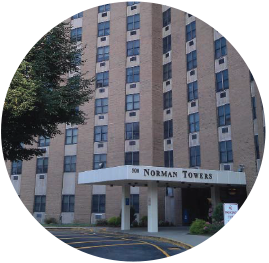 Norman Towers affordable housing community uses Landport to increase tenant satisfaction with an efficient work order management process. Along with the paperwork, storage, and time issues, it was difficult to track the amount of time the mechanics spent on a job request. Staff also wanted a way to track parts and material used so they could get an idea of parts inventory. After reviewing several programs, Landport was exactly what the staff needed, at the right price, without adding unnecessary complication. Work orders are now closed by the mechanics as soon as the job is completed. This allows staff to immediately call the tenant to make sure they are happy with the completed job. Management now has a real-time picture of when the work request was made, who accepted the request, the time it was accepted, and when it was completed. They also can track the mechanics’ down time in between work orders, allowing them to effectively assign PM tasks. Easy to implement and use, low cost, excellent phone and online tech support!